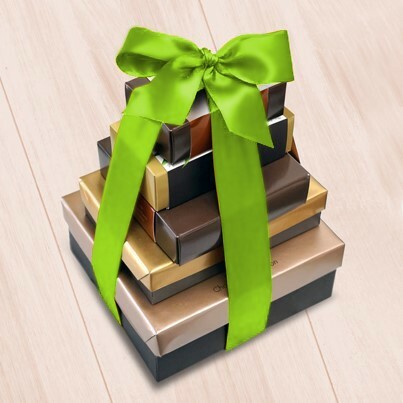 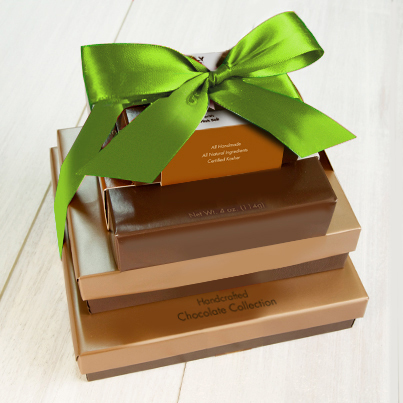 Our most popular gift box item, eight incredible flavors in our exclusive signature gift box. 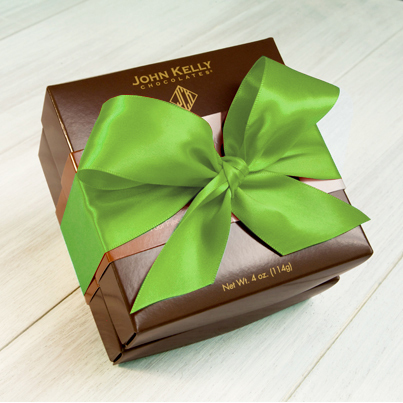 It works perfectly as a Springtime Easter gift, hand-tied with a green satin ribbon. 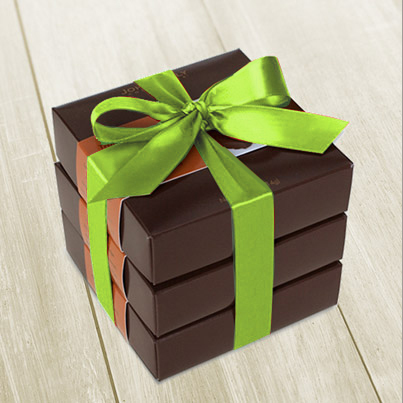 A great mix of salted and unsalted truffle fudge flavors.